Admissions Open at Government College University Lahore's GCU Main Campus, Lahore for the batch Fall 2018. GCU offers admissions in different fields of study for Bachelor Programs. 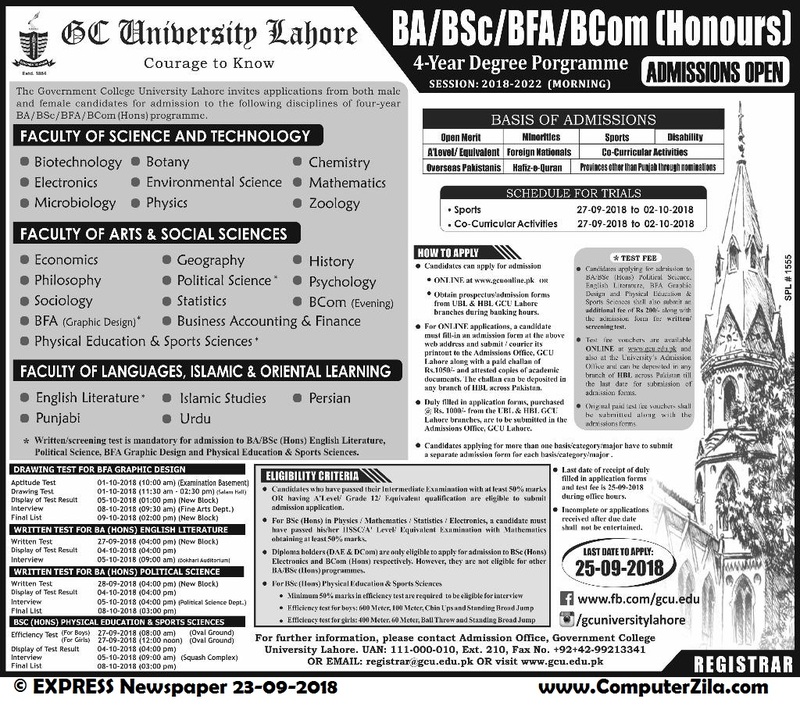 The Government College University (GCU) lahore invites applications from both male and female candidates for admissions to the following discipline of four-year BA/B.Sc/BFA/B.Com (Hons) programme. Bachelors EligibilityIntermediate with at least 50% Marks OR having A' Level / Grade 12/ Equivalent Qualification are eligible to submit admission application.